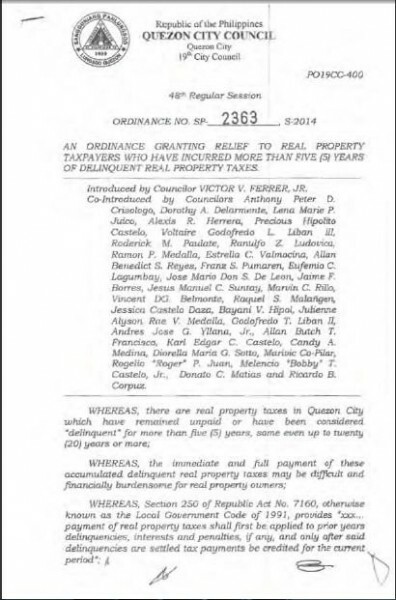 Here’s a reminder for Quezon City real property owners: The tax relief for delinquent real properties will expire on June 30, 2015. This is in reference to Quezon City Ordinance No. SP-2363 which granted a tax relief for delinquencies incurred prior to 2010. Check out the details below. 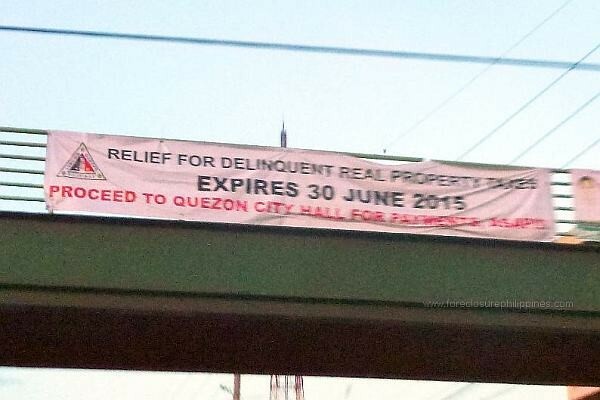 Tarpaulin sighted along at Quezon Avenue: Relief for delinquent real property taxes expires 30 JUNE 2015. 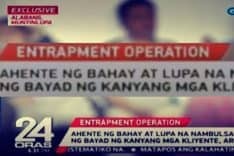 Proceed to Quezon City Hall for payments ASAP. Just recently, we saw tarpaulins for the tax relief along Quezon Avenue, just like the one above (sorry for the blurry picture, It’s the only readable picture my wife was able to take when we passed by). What does Tax Relief mean? I would like to emphasize that taxpayers are only relieved of delinquencies incurred prior to 2010. Delinquencies from 2010 to 2014 still have to be paid. Furthermore, according to Section 2 of the ordinance, taxpayers can avail the tax relief from January 1, 2015 to June 30, 2015. SECTION 3. 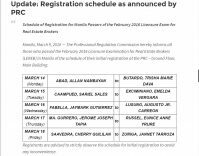 Exceptions – The relief herein granted shall not apply to delinquent real properties that have already been auctioned in accordance with section 260 of Republic Act No. 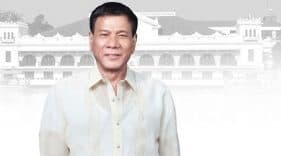 7160 or are currently being settled or paid under a compromise or similar agreements and those with case pending with the Quezon City Board and Assessment Appeal. The page I listed above also reminds property owners on the list to visit the City Assessor’s office to obtain an assessment of past years’ delinquencies for settlement. 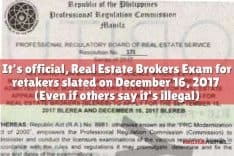 Failure to do so may result in the inclusion in the next tax delinquent property auction in Quezon City. 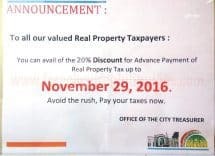 Do you know other Cities/Municipalities that have granted a tax relief/amnesty that real property owners can avail right now? If you do, please share them through the comments below. Thanks!